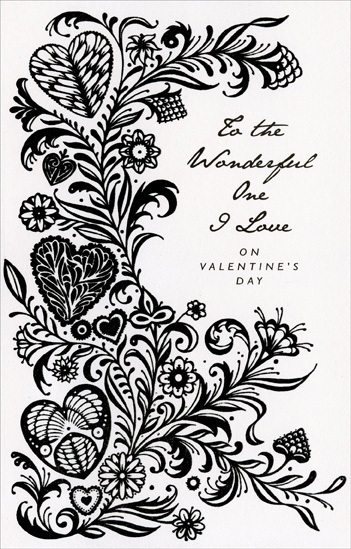 Black foil is used to create the vine, hearts, and flower illustration on the front of this Valentine design. 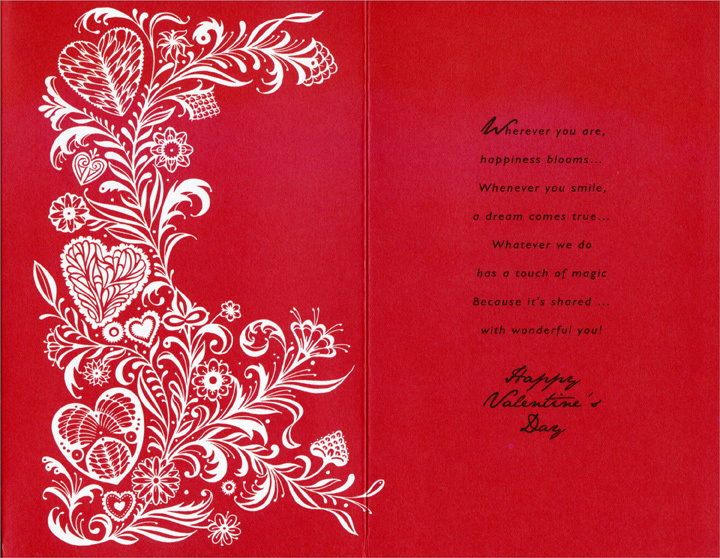 Printed on Recycled Paper. Made in USA.